(UPDATED) PenFed Pathfinder Rewards American Express Card is now Live – Details and Review! PenFed announced their new Pathfinder Rewards American Express card today. I wanted to give you the details on the card and do a mini review as well. In order to apply for a card from PenFed you need to be a member first. You can easily become a member if you are an active military member or if you were previously a member of the military. For non military people you can also become a member by joining one of two associations. Both come with a cost of $17. You can join Voices for America’s Troops, or National Military Family Association. The sign up bonus is for 25,000 points after spending $2,500 within the first 90 days of account opening. Points are worth $0.0085 per point when redeeming towards airfare through their portal or towards gift cards. You can get up to 1.15 cents per point if you use if towards hotels. The points are worth .85 cents a piece when booking airfare or redeeming towards gift cards making the 25,000 point sign up bonus worth $212.50. If you used the points towards hotel stays your value would be $287.50. You would get to keep the full amount since there is no annual fee. This is a decent offer for a no annual fee product. The sign up bonus is average but the card has some value as a long term keeper. The $100 annual travel credit is pretty impressive. I will be interested to see how hard it is to use. Is it more like the CSR credit, very easy to use, or more like the BOA Premium Rewards card, kind of difficult to use? The Global Entry/TSA Precheck credit is a nice perk as well, although most people probably already get this from another card. The earning structure sounds good, especially for Access America checking account members or military personnel, until you see that the points are worth less than 1 cent per point towards airfare. Still, 3.4% back on airfare is pretty good for a no annual fee card, if you are earning 4x. Even better if you use the points towards hotel stays at a return of 4.6%. It also covers a wide variety of travel. From what I have read you are charged $15 to book flights when using their travel portal and the points are worth less for airfare versus booking a hotel. If you want to get max value out of the card then booking a hotel stay is your best option. You also have to consider that PenFed has been somewhat of a stickler in the past about lots of recent applications. So you may go through the process of setting up an account, joining an association, paying $17, and then you could get denied when it is all said and done. Something to consider. The PenFed Pathfinder Rewards American Express Card is an average to slightly above average card overall in the no annual fee market. The fact that the points are worth less than 1 cent per point towards airfare make that no a plausible use. I also don’t like that you can not redeem them for cash, even at a minuscule .85 cents a piece value. If you want a card for your cash hotel bookings this could fit the bill. Just remember that you will need to jump through a few hoops before being able to apply. If you are already a member at PenFed or you are a member of the military the PenFed Pathfinder Rewards card could be a good long term keeper. This could be a card that helps increase your average age of accounts all while bringing you a $100 travel credit every year. Not a bad deal, but I couldn’t see myself putting regular spend on it since the redemption rates are poor outside of hotel stays. I also question if they will maintain the $100 travel credit long term, or will they find it too generous in a year or two? If you are looking for a great no annual fee card I would suggest the Uber card from Barclaycard. Next articleChase $500 Bonus for Checking/Savings is Back… Get Your Coupon Now! All that I see is a $100 TSA application fee credit — nothing about a $100 annual travel credit. Weird it was in the spec sheet PenFed sent us directly. I’ll reach out. Never mind. I didn’t look hard enough. But it appears to be only an airfare fee credit, which is much more limited than the CSR card. Thanks for the info – I will add that in. Looks like it is .85 cents per point for airfare. The points are worth .85 cents for gift cards, they are worth more than that for travel (avg ~ 1.17 cents apiece). A global entry credit and $100 annual airline fee credit on a no annual fee card seems pretty strong, hardly underwhelming, if you compare it to other no annual fee cards. It’s not the best in the market but it’s up there in the no fee space. A good card to get and keep if for nothing else than to reap the benefits of the airline fee credit every year at no cost. Gary from what I read on their previous cards the points were worth .85 cents per point via their portal. If that has changed or was not accurate then it makes it a more compelling sign up bonus for sure. And a good option for travel purchases at no fee. As for the $100 credit is a great perk but the question is how restrictive is it and will it stay as a perk. I have a penfed acct from long ago but I don’t have an amex and have been wanting one. No this wouldn’t be a good fit for you. 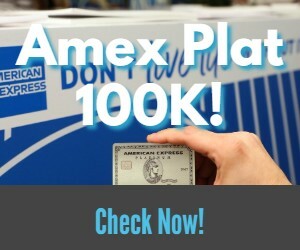 You would be better off with something like the Amex Blue Cash Preferred. Or the Uber card from Barclay.